While showers rule morning routines, freestanding tubs have become the must-have in spa-inspired bathrooms. Their shapely forms inject instant drama into any bathroom. The tub has literally become a piece of functional art for the bath. In medium to large size bathrooms, homeowners are installing freestanding tubs as centerpieces and swapping their corner or alcove tubs making way for roomier tricked out showers. In tighter quarters, some are borrowing closet space or opting for compact models. In my own master ensuite, we replaced a built whirlpool tub with Kohler’s free standing Abrazo tub and WOW - an amazing transformation. Although the room is the same size, it appears much larger. 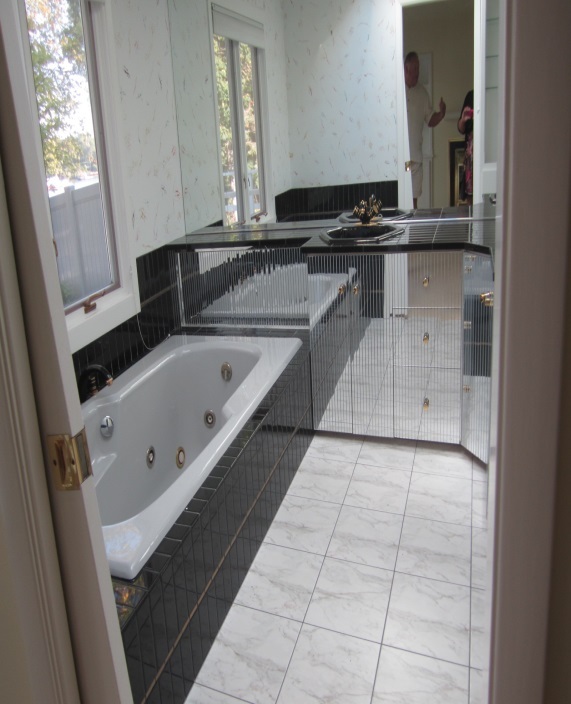 The free form shape of the tub has replaced all of those 80’s mirrors and is now the artistic focal point. 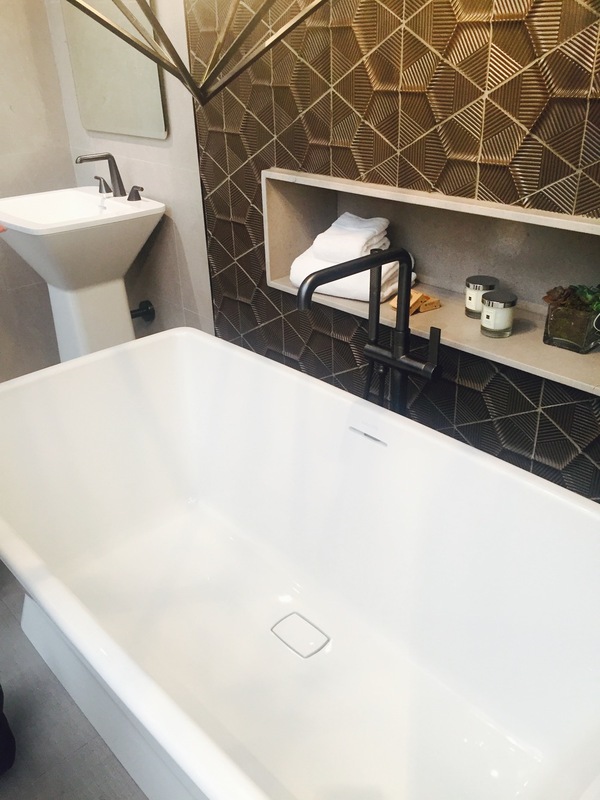 If you haven’t shopped for a new bath in years, you’ll be impressed to see how much effort is being put into the style and functionality. The retreat bath experience has definitely evolved from the 90’s corner unit garden tub to the high design of the freestanding tubs and water therapy providing improved relaxation, health and well-being. We have done a great deal of research in selecting the best offerings for our customers. We felt it was critical to meet your needs. There is no longer a cookie cutter answer – rather we have been deliberate in our choosing the best of the best while offering a wide variety of manufactures and all price points to meet your experience needs. 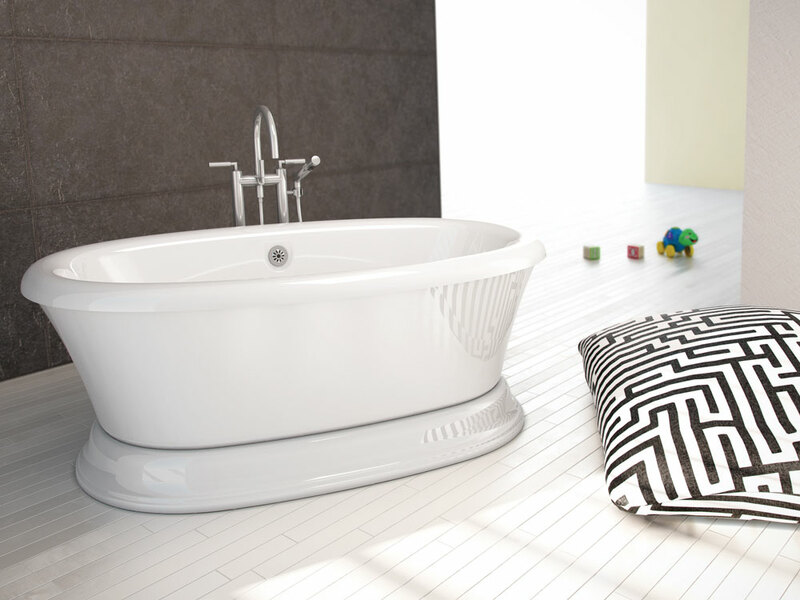 The rectilinear Nokori freestanding tub creates a clean, minimalist look whether placed in the middle of a room, against a wall, or in an alcove. Offered in five sizes, it can be outfitted with hydrothermal massage, heated backrests, chromatherapy, and Geysair technology, which keeps the water warm longer. The Underscore oval bath allows users to personalize relaxation with a variety of optional features, such as Bluetooth speakers for playing music and providing sound vibration; air massage; whirlpool massage; a heated surface in the neck, back, and shoulder areas; and chromatherapy. Pescadero expresses its nautical roots with an undulant shape and rim design. Made of volcanic limestone and resin, the freestanding tub has a gloss white interior and an exterior that is available in six colors. It measures 68 5/8 inches by 29 5/8 inches. No wait...it’s NOT just another quartz. It’s Cambria. Yes indeed, our entire management team had the pleasure of touring the Cambria manufacturing and fabrication facilities in Minnesota this past week. Admittedly I was impressed. From the pristine factory conditions to the shared pride exemplified by all, it was testimonial to a premium product. While I am a huge fan of quartz, I sort of thought of them all as equal. That was…. until I saw the entire process and learned what makes Cambria the preferential choice. Number one, it’s all mined in North America and proudly made in the USA. Cambria uses white/clear quartz, which is different from its competitors. It’s an amazing process. More durable than granite, Cambria now comes in 126 colors. The tonality, clarity and depth of designs are obvious and intended. No two slabs created are identical; fraternal twins opposed to identical so to speak. With the amount of colors available, it’s safe to say – I think we can find one for your décor. Whether it’s a bath or kitchen you are looking to update, we would love to assist with our expertise in making your design dreams transform into a reality to delight! Come see us today – we have 14 locations to serve you with a new store coming in June to Whitefish Bay, WI. We are sure to find the perfect solution for you. As a guest of BainUltra, I had the pleasure of visiting this incredible 400 year old French speaking city. To my delight the city was breathtakingly beautiful. The people were insanely nice and warmly polite. It was as though every person I encountered was a brand ambassador for the city. People stopped to open doors for each other. People in customs lines moved for each other as if to say, “no you first”. Everyone smiled to each other on the streets. I heard the term “merci beaucoup” so frequently; I still can’t get it out of my head. Any idea where I was? The food was over the top and the sights were packed with history. This place, now one of my favorite North American cities is Quebec City – home to BainUltra. Their bath tubs have the amenities to support their conviction. They also provide a bathing experience in the hotel where they have you stay. The luxury of time spent enjoying a bathing experience is built into the schedule. It’s not optional. In the world of multitasking, endless deadlines and chaos, it was a delight to have this planned into the day. Years ago – I was a bath person. In the cold frigid winters I would enjoy a hot bath before bedtime to warm me up. Sadly, I had gotten away from this ritual. This experience proved to be far more beneficial than I dreamed. My room had an amazing BainUltra therapeutic bath. Using the “Calm” essential oils… I was literally swept away to solitude and peace. My aching knee and right hand that had bothered me for the past two months, entered into pure relaxation. The pain literally vanished as result from the water therapy. The heated back kept me warm and the water temperature never dropped. No need to add any hot water. It simply maintained the heat just as when I entered. I even used the chromo-therapy option enjoying the dance of colors enveloping my mood. This two night experience made me realize I was living a far too busy life. It was exhilarating to take time for myself. It was 20 minutes of pure bliss and mindless thoughts – a haven for the soul. I have reflected on this experience so much that I now have a commitment to spend 20 minutes with myself daily. No distractions. Oh and one more thing, I’m now debating which bathroom to remodel so I can order my very own BainUltra bath so I can elevate the experience daily. Why? Because I deserve it. I encourage you to do the same. Grant yourself a well-deserved 20 minutes and enjoy your time with just you, yourself. It could be gardening, snow blowing, resting…or it could be the ultimate relaxing bathing experience in a BainUltra bath. You’ll be glad you did. Profiter du présent (Seize the Day). I am a huge proponent of steam. But, I wasn’t always. In 1989 my husband and I moved to Chicago. He had one “must have” on his wish list – it was a health club with a steam shower. Yup – that’s it. I didn’t understand it, but heck if that was the only thing on his wish list…I was all in. Admittedly, I always deemed the steam deal as a guy thing. From the long before we even met, he had always gone to the health club and the steam was part of his daily regimen. To many the term “executive workout” actually means steam. As for me…well I tried it once and hated it. I was as anxious to escape as quickly as I entered. It was wicked hot, I felt claustrophobic, I couldn’t breathe – I had to exit immediately. Yet – it was his wish so what the heck….. He selected a health club in the city where he would visit daily to experience the almighty steam. In 1996 we embarked on building a custom home and I had what I thought was a selfless brilliant idea. We should put include a steam in our master bath! It seemed ridiculous to me that he would drive 20 minutes each way on the weekend just to take a steam. I asked the plumber about it. Then I got the bath designer involved. I was shocked to discover how reasonably priced it was to put a steam unit in. In my mind – I thought he’ll get a steam and I’ll get that dreamy whirlpool, we will both be happy. Once we settled in our new nest, my husband began to “coach me” on why I should give the steam another chance. He offered suggestions like….just sit in there and try to relax, your skin will feel great, you can condition your hair, use hair conditioner and shave your legs, it will clear your head. It was too scary to try. So…on one blistery subzero evening I came in from a 4 mile walk and thought…I’m going to take a hot soaking whirlpool. My husband said – take a steam. The tub will take 87 gallons of water, the steam will take one. That was enough to strike my think green mentality. I turned on the steam. In less than 2 minutes I entered the warm air (the whirlpool would have taken much longer). I went all out and decided to do a deep conditioner on my hair. Then I took my normal hair conditioner and put it all over my legs and shaved my legs. I was not at all claustrophobic. In fact, it was quite the opposite. It was so relaxing and warm. My legs were so silky and smooth– best shave ever! I am not kidding. It was the best and a life changer. From that night on – I started to steam regularly. I never got into a cold shower again. It’s now 2016, three homes later, three steams later and now living in WI. I am proud to tell you that I a frequent steam user. Since that one evening in 1996 when I became a convert, I can tell you that I LOVE STEAM. I can’t even imagine life without steam. This morning it was a minus 15 degrees wind-chill. So what? I literally jump out of bed, turn on the steam and minutes later I am in a tropical relaxing paradise. I never feel trapped as I can set my own temperature. My steam is 111 degrees and I stay in for approximately seven minutes. My husband – totally different. He likes it hotter, at 116 degrees and he has the tolerance to stay in for up to 20 minutes. In 2012 we purchased a home and gutted it to the studs and of course converted our shower to a steam shower. The steam unit we have today is four years old. It has a tiny well for aroma therapy, it is fast response, it cleans itself with a push of 2 buttons and it has a digital clock. Today you can get all that and more such as music, digital valve connection and custom controls for each user. The generator itself is buried in my closet wall with a trap door – it’s small enough to fit between our 2” x 6” walls. Totally inconspicuous! Steam is affordable. It’s also a daily reward that if you have, you will repeatedly enjoy. Retrofitting an existing shower into a steam shower is not a huge ordeal but we do recommend the use of a professional Remodeler / Plumber. You need the walls and ceilings to be waterproof. You need a shower door with complete enclosure to prevent steam from escaping. The steam generators come in multiple sizes and are based on the cubic feet in your shower. 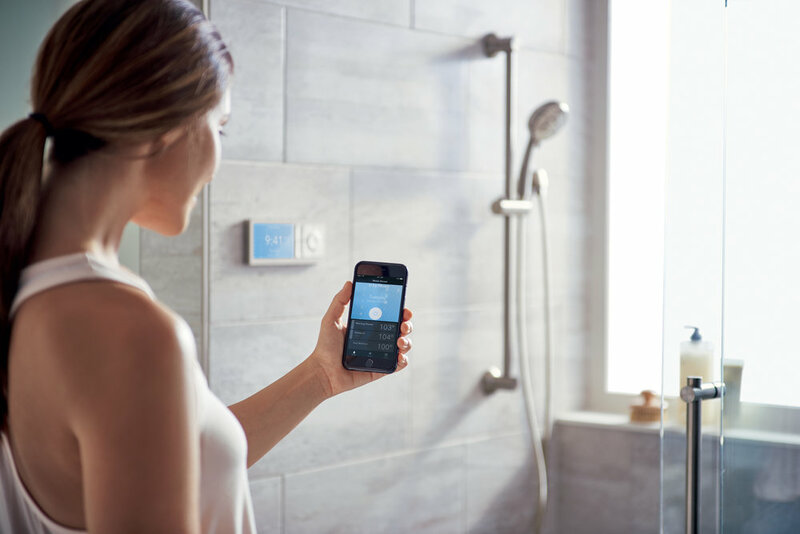 The energy cost for an average steam shower session is less than $1. Sooths nasal passages and respiratory tract, relieves congestion, and clears the sinuses. It relaxes mind and body and neutralizes stress. I sincerely hope this persuades you to enjoy the affordable luxuries in your own home. Steam is a necessity once you have it. 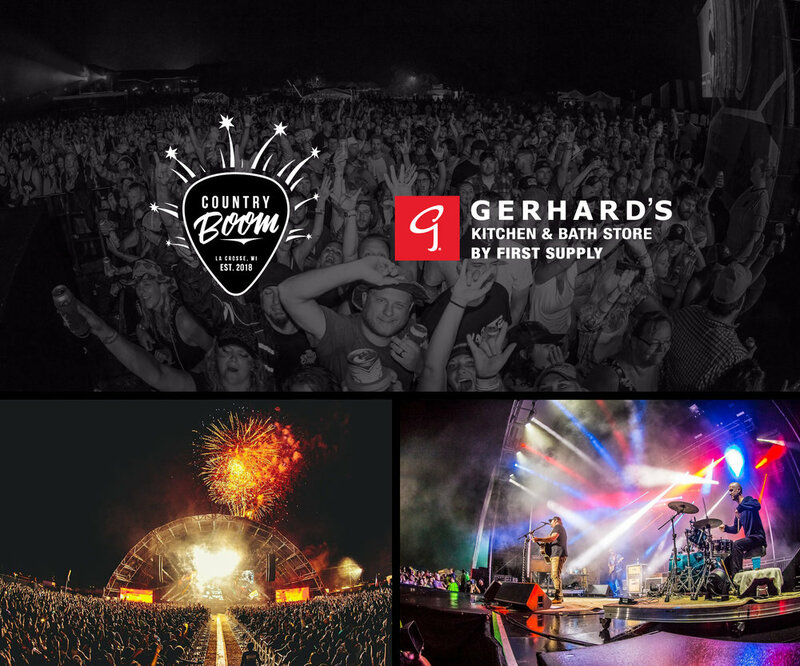 Judy Kimble, product and marketing manager at Gerhards, searched the Kitchen and Bath Industry Show for this year’s top kitchen and bath trends to share with you! Each year NKBA (National Kitchen & Bath Association) sponsors the largest the Kitchen and Bath Industry Show (KBIS) in North America. The 2016 venue was held in Las Vegas, January 19-21. It’s literally the equivalent of “fashion week” for Kitchen & Bath. Designers from all over the country attend this annual show to experience the industry’s latest trends, new introductions and “design concepts”. 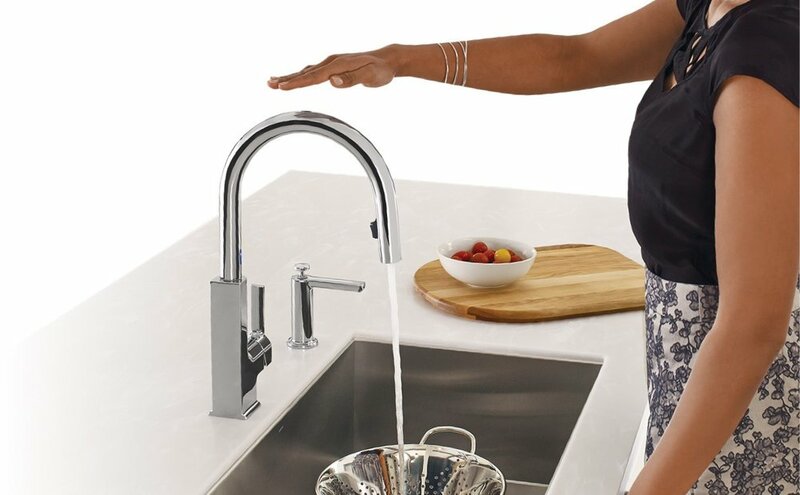 It’s all the top brands; Kohler, Masterbrands, Delta, Rohl, Robern, Moen and more! Cabinets -Black and all sorts of shades of grey. Light grey, dark grey, brown grey – greys are all the rage. Blues were the predominant “color” shown; marine blue to soft grey blue to navy blue. Faucets – titanium ( black silvers) & golds; rose gold, bright gold, bronze and warm antiqued golds – Gorgeous. Black bathrooms with gold faucets – very rich. Solid Surface introductions – Silestone, Cambria, and Ceasarstone all showed whites with black – beyond stunning appeal. Omega Cabinets are known for their high quality, hand crafted, solid wood construction that offers luxury to both the kitchen and bath. Kitchen and bath cabinets that are built by Omega tend to last a bit longer, and come standard with all the major bells and whistles. Lazy Susan’s, custom textures and finishes, rotating cabinets, custom spice holders and more are just common type of additions that Omega Cabinets offers. 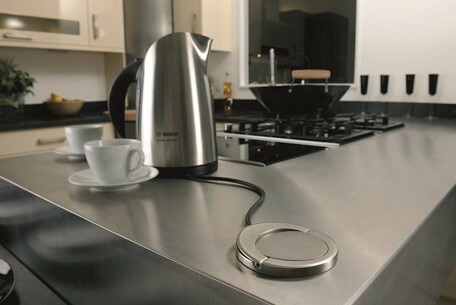 Functionality is a big part of Omega cabinet offering. Each design helps cooking enthusiasts reach new creativities by organizing their tools in a way to fit their individual needs. Omega is a division of MasterBrands and has helped MasterBrands grow its reputation by offering high-end, fully customizable cabinets. "Omega’s addition of species match drawers and pullout trays is a delightful addition Omega’s extensive line of cabinetry. Adding a natural walnut or quarter sawn oak drawer box to your cabinetry is a great way to add a subtle yet affordable touch of luxury to any kitchen or bath! We can even match the interior of your cabinet to the drawer box to finish the look." "Omega has always been known for their superior quality and endless options. It is nice to see the details of Omega that has always been present being even more enhanced. This is shown in a several different ways including matching wood species on the drawers, additional pull out options, added door styles, multiple wood species, and stain colors. The focus coming back to beauty as well as function is a must for today’s homeowners. It will be easy for the homeowners to ‘Embrace Omega’." "As designers, new colors and styles are our inspiration! This Fall season is exciting with the new Full Access textured laminates! Drift, Old Barn, Otter and Peregrine – colors in the new Nella door! Woodsy with a modern feel! Very exciting!" The Gerhards team enjoyed reading the following interview with Barbara Barry by Baker Furniture. Barbara is among the world’s most prominent and talented designers. Her name stands for a unique blend of sophistication and livability; her designs are classic, timeless and fluid. Her look speaks to the grace of form and simplicity of line. Her designs range from elegant interiors to an extensive portfolio of home furnishings. Barbara’s new pieces arrived just in time for summer daydreaming. Her iconic blend of relaxed elegance let’s us kick back in style with her new natural textures and comfortable forms. We sat down with Barbara to get her take on relaxation, travel and creating that perfect summer setting. When designing a piece of furniture or an interior, how do you imbue comfort and relaxation? The first thing I think about when designing an interior–and then furniture–is the mood of the room. We all want to be more relaxed these days, and certainly in our own homes. The new finishes Baker is offering really set the perfect stage for kicking back and being less formal. Anyone in the design world knows it takes a lot of work to bring a vision to life: How do you stay calm and relaxed; balance the stresses of the job? Truthfully, I don’t see my job as stressful…and that is because I am so passionate about what I do; and because I have a great staff that supports me in so many ways. I am very fortunate in having long term, comfortable relationships. And I do yoga! What are some design tips to creating a comfortable and relaxed setting, either at home or in a vacation home? I believe we need less then we think we do. I say keep some air space in your rooms. Allow for the stuff of life and summer to have a home, be it an inner tube or a bicycle. It just feels more relaxed when it isn’t so full. Begin by doing a good spring-cleaning! Do you really need all that stuff? Really? It will feel so much lighter with less, and then you can decorate with the season’s offerings of sunflowers, fruit, new books and friends. What are some of your favorite summer traditions – is there anything from your past that you still do presently each summer? Every summer I travel and I seek a new adventure. I always choose a balance of wilderness and a new city. This year, it is up in Canada on both coasts, and Stockholm. I love to see how others live and celebrate a much shorter season than I have at home. If you were to create the perfect summer palette — I’m talking textures, colors, scents, shapes — what would that look like? I love white in summer. You just can’t beat it as a backdrop for vibrant color and a tan. Think white Levis, anything goes with them. Lastly, we all love a little ice cream or fresh fruit in the hot weather — what’s your summertime treat of choice? Fresh chilled mangoes with a squeeze of fresh lime. The color alone is enough to get you going! Oh did I forget to mention the tequila?